In this section of easygocanada.com you will find how to deal on apartments for rent, houses for rent and townhouses for rent. Parents and grandparents of Canadian citizens and permanent residents may be eligible to apply for the parent and grandparent super visa. This visa is valid for up to 10 years and will let you visit your family in Canada for up to two years without renewing your status. CANADA Immigration News Ontario has announced new invitations to apply for a provincial nomination for permanent residence for Express Entry candidates, including a 2018 high of 439 invitations through its Skilled Trades Stream on October 19. Good news for Canada immigration seekers that Quebec Skilled Worker (QSW) program has begun accepting applications under the same eligibility requirements as the previous application cycle. Earlier this month on April 1, 2014 Quebec’s immigration regulations for its skilled worker program were set to expire. However, now the program will continue to accept the applications under the same criteria. What Is Current Eligibility Criteria? the QSW program accepts applications from skilled workers from a wide range of backgrounds. No job offer is needed to apply to this program. At minimum, applicants must: Have at least a high school level of education; and Score a minimum number of points on a selection grid. Points are awarded for a variety of attributes, including but not limited to: work experience, education, language proficiency, age, and adaptability. In addition, the program will accept a maximum of 6,500 applications from skilled workers with no job offer. As of Monday, April 14, approximately 800 applications have already been received. Applicants can choose a representative for help and presenting their case to CIC. Immigration consultants, Lawyers or Other representatives. The representative gives immigration advice and help to visa applicants, They usually charge a fee. Having a representative is not mandatory. It is up to you. Do not forget that using representative will not get your application special attention or guarantee it will be approved. CIC website has all the forms and information that you need to apply for a visa for free. Filling forms and submission is easy if you follow the instructions and that are given in application guide. Anyone who gives you paid advice before you apply or start a proceeding must be authorized. Unauthorized people must either become authorized or refer you to someone who is. Unpaid third parties include: family members, friends, non-profit groups and religious groups. They can still act for you in the same way as a paid representative. To protect your privacy, you need to give written consent to CIC before it shares any of your personal information with your consultant, lawyer, or other representative, paid or unpaid. Use the Use of a Representative (IMM 5476) form to give your consent. 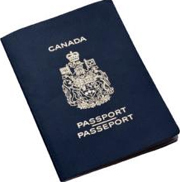 Certain spouses and common-law partners of Canadian citizens and permanent residents in the Spouses or Common-Law Partners in Canada Class (SCLPC) could obtain open work permits while their application for permanent residence through the inland sponsorship category of the SCLPC is undergoing processing. An open work permit allows an applicant to work for any Canadian employer for a specified period of time while his or her application for permanent residence is processed. Over recent months, many applicants for Canadian immigration have taken advantage of this new opportunity. In effect, the pilot program has ensured that applicants don’t have to choose between being able to work and being with their partner and children, if applicable. This pilot program also allows the applicants to receive provincial health coverage while awaiting permanent residence in Canada. Canadian Citizenship and Immigration has announced an special immigration program for Indian nationals who have visited Canada or United States within last ten years. The CAN+ program was announced by the Canadian Citizenship and Immigration minister during a visit to New Delhi. CAN+ aims to increase processing efficiency for visitors coming to Canada from India. Those visitors who have visited Canada or US within last bten years will receive accelerated processing, allowing for Visa officers to focus on other cases. This will result in more efficient overall processing times for Indian travellers. The Minister highlighted a number of government initiatives aimed to improve travel and trade from Canada to India. Among these programs are three visa “Express” programs for Indian businesspeople, tourists, and students, and 10 Visa Application Centres (VACs). He also announced a standardized multiple-entry visa at a reduced fee of CAD $100. It is learnt that Indian nationals rank in the top 10 source countries of international visitors to Canada. Over 130,000 Indian citizens were issued Canadian visitor visas in 2013, and nearly 14,000 Indian citizens received Canadian student permits.